If you did your homework on any dubstep beat maker or just a free beat maker found online, you probably heard the term “sidechain” mentioned along with the process of building up a new track. As a matter of fact this technique can also be introduced when mixing up your tune if you’re looking to upgrade some dull recordings so in this tutorial we’re going to find out how to sidechain a frequency range and what does that process have to do with making music. Hit play above and let’s see what this is about. First of all you probably want to know what does sidechaining bring new to the table and implementing this process actually comes with the Bass sound of a Kick not clashing with the Bass line for example but the advantages don’t stop here by far. Sidechaining the low frequency range on your dubstep beat maker keeps the rest of the frequencies intact and your DAW or your free beat maker will be able to produce an amazing sound quality without even reaching the mixing stage. How’s that for a start when building a new tune! Take a Bassline and a Kick to apply this method and assign both sounds to their mixer tracks so you can adjust or control their volume. 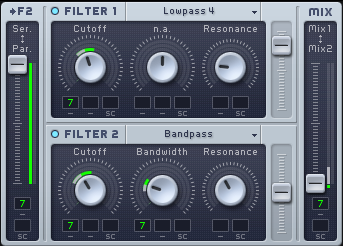 If FL Studio is your dubstep beat maker and you want the sound that will trigger the sidechain effect to hit the Bassline drop a Fruity Peak Controller to the Kick’s effect slot and next drop a Fruity Parametric EQ 2 to the Bass sound. 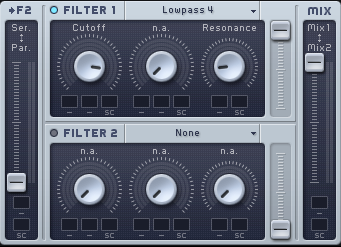 If you’re using a free beat maker just drop your favorite EQ plugin to obtain a good result. Up next you need to set the frequency value and this applies to both your dubstep beat maker or any free beat maker used with a EQ plugin of your choice. The higher you set the frequency, the wider the range in the frequency spectrum the sidechain “duck” effect will be. For low frequencies (assuming that you need them) you need to set the whole thing to 100-150Hz. Next you need to link the controller by choosing Pick under Internal Controller if you’re using FL studio and the Mapping formula needs to be inverted. Where will this lead? You can only find out by playing the rest of the video but don’t forget that a new tutorial is on the way.